The very name 'Fidel' means 'faithful' - and the baptised Fidel Castro was a baptised member of the Faithful. In adulthood, he became faithful to something else, like many of his contemporaries, faithful to Communism or at least a variety of socialism without compromise. With total commitment to his cause - which was no longer the Catholic Faith - he did everything he possibly could to ensure that Cuba would be an outpost of Communism - attempting to make it a beacon to the world, or, dare I say it, a 'lighthouse' of social justice and his often confusing view of what social justice is. Unsurprisingly and depressingly, it is under-reported by the mainstream media how far short of utopian his reign over Cuba was and I was generally aghast at how little condemnation there was of the Castro regime's dictatorial, oppressive and often murderous stranglehold over the Cuban people by the Left and I have been struggling to come to terms with what role morality - which even the Left champions at times - plays in the ideology espoused in so many variants in that part of the political spectrum. So in this country, the leader of the Labour Party, Jeremy Corbyn, though not alone, lauded Castro, sidelining his crimes with such dismissive asides as 'for all his flaws...' as if Castro simply had a rude, abrupt manner or forgot to put the toothpaste lid back on. A man is at liberty to mourn and be sorrowful for the death of anyone - be he good or bad - but one might argue that for the Pope to publicly state his own mourning or sorrow for the death of a dictator who oppressed Catholics and had a load of people shot for no good reason might be a little excessive, or at least profoundly insensitive to Castro's many victims, some of whose families managed to escape this island of understated tyranny on life rafts. Newspapers, mainstream media outlets lauded the man, quietly overlooking so much objective evil and suffering he caused as if these 'excesses' were completely understandable, eminently forgivable and all part and parcel of a complex personality that ultimately wished to establish a nation based upon precepts that are inherently good. What was so frightening was that morality itself, the Moral Law itself, so often, in different ways upheld by the Left crumbled before this 'giant of a man' of the Left, this colossus who brought a country to its knees to serve his wayward ideology. Just as the wicked melt like wax before the Presence of the Lord, so too does morality itself seem to melt away before some figures in history. For example, to say nothing of torture, political imprisonment, restriction of various freedoms and liberties, the modern Left upholds the dignity - or at least some form of 'equality' - for homosexuals and preaches 'tolerance' to those of different sexual orientations. Castro didn't. 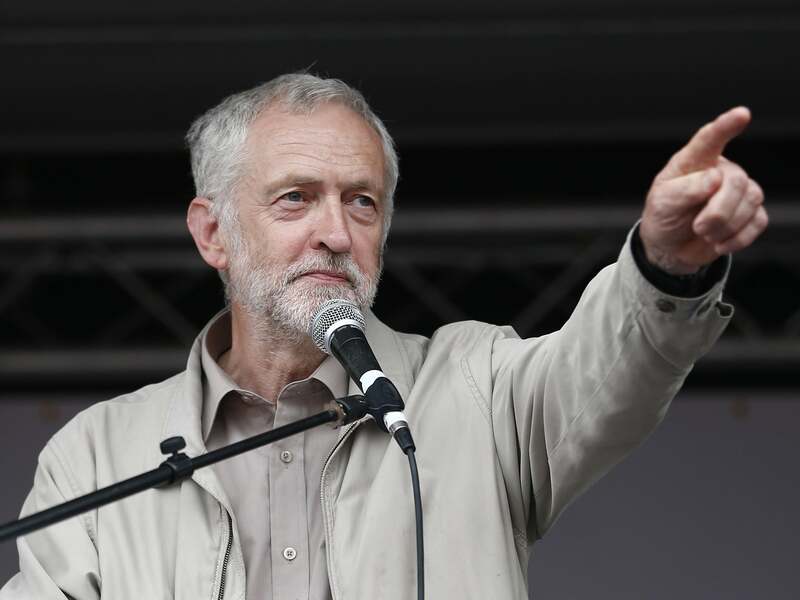 He publicly decried them as scumbags, regarded them as filth, but to the Left this was completely excusable. The Left today look to democracy to convince the masses of the benefits of their cause. Generally, they are said to uphold democratic institutions and seek to attain power through the ballot box. 'Democracy itself is a good', they say, but then if democracy brings you Donald Trump, it 'must be reviewed'. There was nothing democratic about Castro's regime. To my mind, with Fidel and others, it seems to be due to more than a simple cult of personality, but points to a deeper, more mysterious reality about evil and the evil men do. Jesus attracts in the Gospels. People come to Him, but so too does the Devil attract people, in subtle ways, appealing to different instincts in man, Christ for the better, the Devil for worse. The crowd chant "Barabbas!" when asked whom to release. He is chosen to be freed instead of Christ. It would be better for Truth to be crucified than to be liberated and venerated. Perhaps someone can help me, but Barabbas is described in some translations as simply 'a robber' and in others as some form of revolutionary or insurrectionist. This Barabbas - his name means - 'son of the father' but he is not regarded as 'the Son of the Father'. That is Jesus. We can only speculate as to the spiritual paternity of the man Barabbas, but he is not from God. Jesus is sent from God and is God. So clearly there is nothing new about a 'popularist', a revolutionary with disdain for the moral law winning a measure of popular acclaim while trampling on true justice. Despite mass murder, Che Guevara, just like Fidel Castro, still holds a very affectionate, lofty and iconic influence in today's world but increasingly I read over these words with disbelief: Despite. Mass. Murder. Is it willful collective blindness, or is it something else entirely? Is it blindness or the toleration or acceptance or even attraction to evil? Do they really admire the man Castro for his perception of social justice, or does the heart of men simply roll over like a puppy enjoying cuddles when objective evil itself is glamourised or for a time triumphs? Why was Guantanamo criticised internationally (personally, I understand why!) but Castro's 'excesses' are all part of a complex package of beliefs that are considered laudable? Is it because Cuba was regarded as an 'underdog'? So that makes it okay? I am certain it is more than this. History records that Hitler and Stalin were bad men of their generation, but also records that they were incredibly popular men of their generation. St Francis Xavier: Got a bit carried away just as the Saints always have done. The Church, too, is vulnerable to precisely the fanaticism or extremism that Pope Francis decries in religions when another bomb goes off, usually in the name of Islam. But the greatest danger isn't a radical devotion to Christ and His Law. The greatest danger is of surrendering Christ's Teachings in favour of those of another. The greatest danger is of replacing God with the idolatry of an ideology, or the idol of the self. God's Law is perfect. His commandments are just. Real devotion to God and His Church, is meant to produce Saints, exemplars of moral virtue and heroic men and women of charity who, like St Francis of Xavier, take Christ so seriously that they will traverse the ends of the Earth for Him to make converts for Him so that men may know God. Make no mistake, out of love, the Saints 'got carried away'. The Saints had and have long periods of 'excesses', which is why they are deemed by the world to be extreme. They are extreme, but they are extremely holy, extremely virtuous, extremely loving and extremely zealous for souls. The love of the Saints like the love of God is not ordinary. It's extraordinary. It's extreme. But St Francis Xavier would not feel at ease within the Bergoglian paradigm shift and would find much of it 'solemn nonsense'. 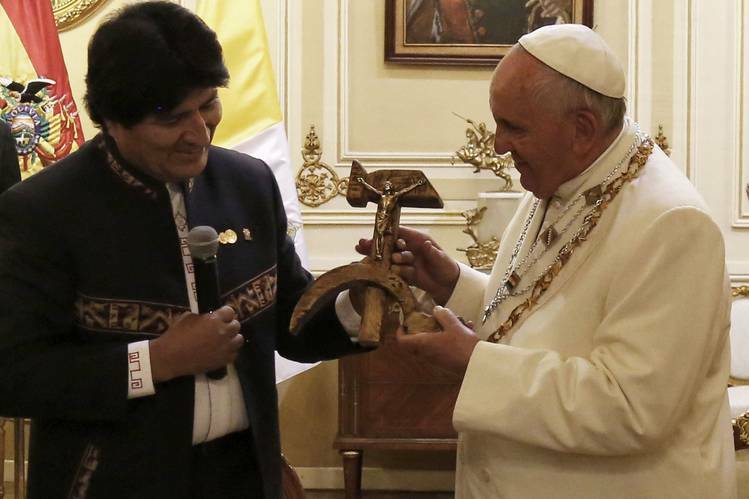 What His Holiness does not seem to appreciate is that to many it is shocking that he himself seems to display an attraction or sympathy with misguided Communists and socialist despots for whom human rights are as easily discarded as the objective moral law which they have upended or twisted to suit their own ideology. 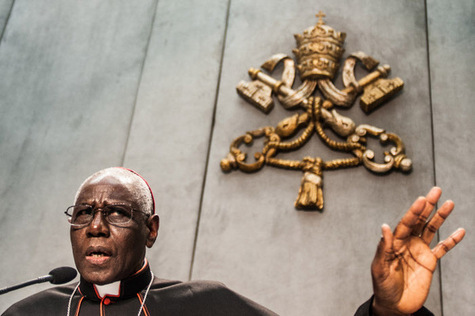 In this shadow, it is bewildering to see men like Cardinal Raymond Burke and Cardinal Robert Sarah either removed from office or isolated within office, seemingly because they are seen to steadfastly uphold both the moral law and Church law because it begins to be seen that the moral law is in some way a threat, or an encumbrance or, more terrifyingly, something that, like within Communism and Marxist-Leninist theory, must be made to serve the cause rather than something that must be obeyed in its own right because it is from God. He who serves and honours the moral law serves and honours the Lord. Ultimately, what Communism and other human ideologies, like Nazism or Peronist Populism, tend to do is render God and His Law useful (or redundant) as long as they serve 'our common purpose' rather than Someone or something under Whom or which we humbly submit our hearts and minds and beliefs. The Pope does not seem to notice that the more he makes Jesus Christ, His Teachings and the Church's Teachings 'peripheral' to his pontificate, on marriage, on human sexuality, on Holy Communion and the Sacraments and other issues too, the more he presents himself as the leader of something to which he himself can be described as founder and chief. But it is not Catholicism as we know it. Catholicism itself is being made to submit to it. That is at the heart of the dubia crisis and that, presumably, is at the heart of why it is going unanswered still. Under Pope Francis, Catholicism is being made - along with the Cross of Christ, along with the divine law which is its standard bearer - subject to an alien ideology, one that reveals its incompatibility with Jesus Christ precisely because He Himself is made subject to it. When Christ decreases be sure that someone else is increasing. So when Cardinal Burke or another Cardinal says that Christ taught on X, Y, or Z therefore the Church would do well to follow Him, the Pope says that what Christ taught on X, Y or Z is all very well and good, but let's do something else because my take on these matters is informed by something else. What His Holiness and his advisers do not seem to appreciate is that figures like Cardinal Burke, Cardinal Caffara, Cardinal Brandmuller and Cardinal Meisner seek clarity so that the Church may be a beacon, a lighthouse, of morality and true justice and true mercy, the City, that City set upon a hill. Every time the Pope or his advisers and associates deride or attack those who confront him with Catholic Truth - doctrine held by Catholics always, everywhere and for all time - and seek His Holiness to confirm his brethren in it, he makes Christ's Teachings less relevant. He makes Christ smaller, Christ Himself is being diminished. Christ, in this scenario must 'decrease' so that he, His Holiness, or at least the private beliefs of His Holiness can 'increase'. Throughout the last nearly four years, Pope Francis has had very little good to say about the moral law. That is very worrying indeed. It gives the impression that he doesn't much like it. Those who have upheld it and those who have proclaimed fearlessly the reality of an objective moral law to which we, mankind, upon whose hearts it is inscribed, are subject, the Author of which is Almighty God, have faced ridicule and insult as 'rigid' or worse, even psychologically disturbed. His reductive vision of mercy - with added justice for those he deems not to possess it - may be very appealing to many in the Church today at a time when to live the Church's Teachings is perhaps more challenging than it has been for a long time. Nevertheless, the popularity gained by such ambiguity does not guarantee fidelity to Christ. The Church should be wary of one of Her sons asking Her people to place to one side their old 'rigid' ideas on morality and the laws and standards to which they were hitherto bound. The Church should be very wary of one of Her sons seeking to make the moral law subject to himself, rather than to refer himself to the objective moral law, to divine law and to the Church's law and who says or implies, 'These laws no longer apply'. So too should the Church be very wary of one of Her sons who says that Christ taught this, but I say to you something else, who gives the impression that what God has revealed no longer matters, someone who increases in stature, only to make Christ and His Teachings smaller, who filters Christ's Teachings through a prism of subjective thought that doesn't reflect clearly at all what he is called to teach. Such a man may offend against the moral law that he has adapted to himself in pushing ahead his personal ideas and feel justified in everything he is doing, while winning popular acclamation, ignoring the appeals of those who resist his new teaching. Instead of criticism, he may find himself on the receiving end of passing rewards granted to tyrants who in every age win popularity, or iconic status for a time as they reshape society, even morality itself around themselves, their excesses excused because the world would rather see evil flourish than Truth be liberated. Yes, the Church and all Her Faithful children should be wary of such a figure, of just such a man. Why? Because it would one day become apparent that such a man - you can be sure - may not do all that Fidel Castro did, nor believe precisely what Fidel Castro believed, nor live as Fidel Castro lived, nor kill as Fidel Castro killed, but will have more in common with Fidel Castro the Communist than he does with Jesus Christ the Lord. To Him be glory and honour, praise and thanksgiving and empire, forever and ever. To all of his predecessors, the dubia posed by the four Cardinals, far from being a threat or an act of treachery, or anything sinister, would be a golden, glorious opportunity to proclaim once more the timeless faith and practise of the One True Church. When Mgr Pinto says there is 'continuity' in papal teaching on this issue, quite obviously there is not. Only to Pope Francis and those around him, it seems, is the dubia considered a 'curveball' or something to dodge or disregard, to ignore or ridicule. All of his predecessors who were loyal sons of Holy Mother Church, would have been, if embarrassed that things had reached the stage where they had to be asked the questions, delighted to give an answer and proclaim the unblemished Law of God! Either the Pope and the Bishops and Cardinals submit themselves to God and His Law or they make God and His Law, make Jesus Christ Himself, subservient to themselves and their own post-Christian set of beliefs. The first option is called Catholicism, the second, whatever else it is, might just as well be Communism. 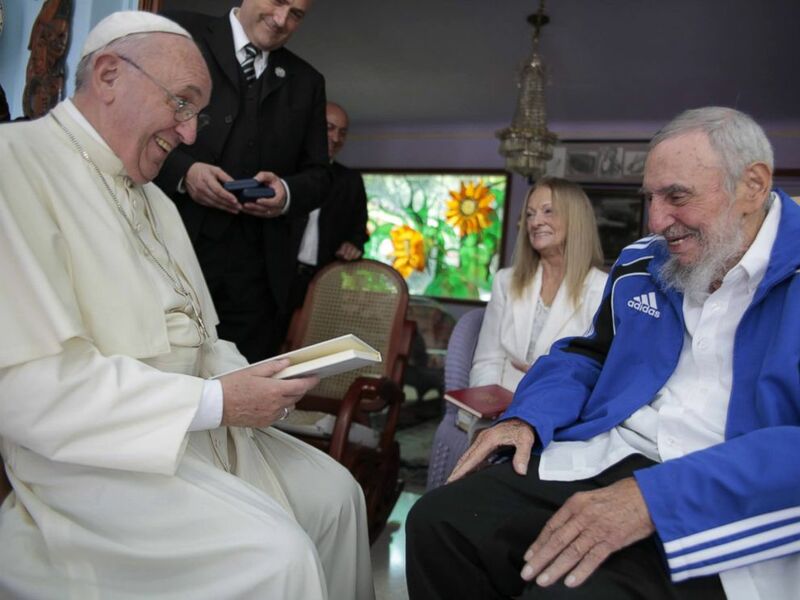 There is no sign of any religion element in Castro's funeral and some priests have been dissuaded from saying Mass during the nine days of mourning. "Why? Because it would one day become apparent that such a man - you can be sure - may not do all that Fidel Castro did, nor believe precisely what Fidel Castro believed, nor live as Fidel Castro lived, nor kill as Fidel Castro killed, but will have more in common with Fidel Castro the Communist than he does with Jesus Christ the Lord." Castro was a mere amateur in comparison. He could only kill the bodies of his victims - Francis is killing souls.